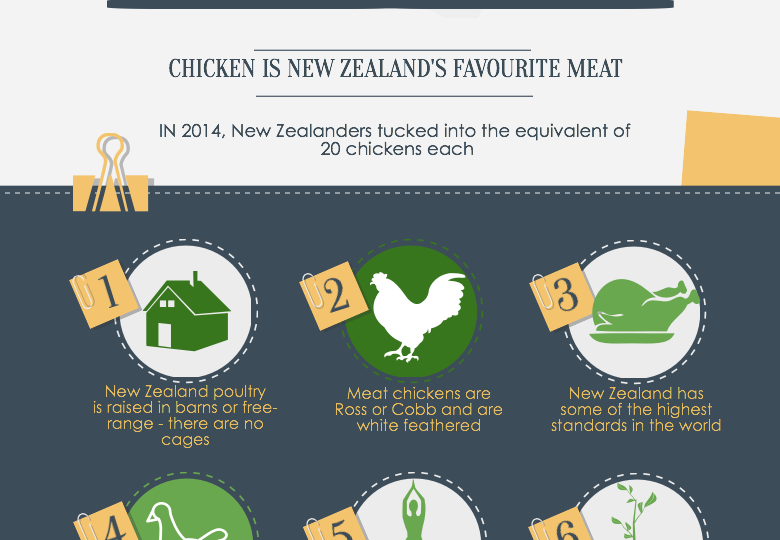 New Zealand has a thriving poultry industry and includes chicken, duck and turkey. 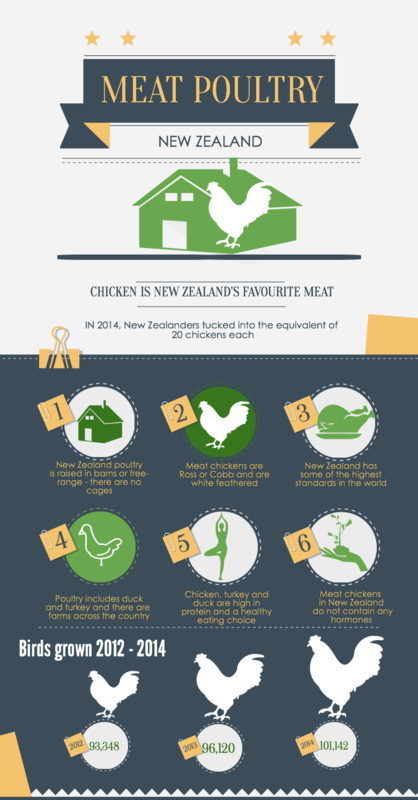 Chicken is New Zealand’s favourite meat – in 2014 New Zealanders tucked into the equivalent of 20 chickens each. 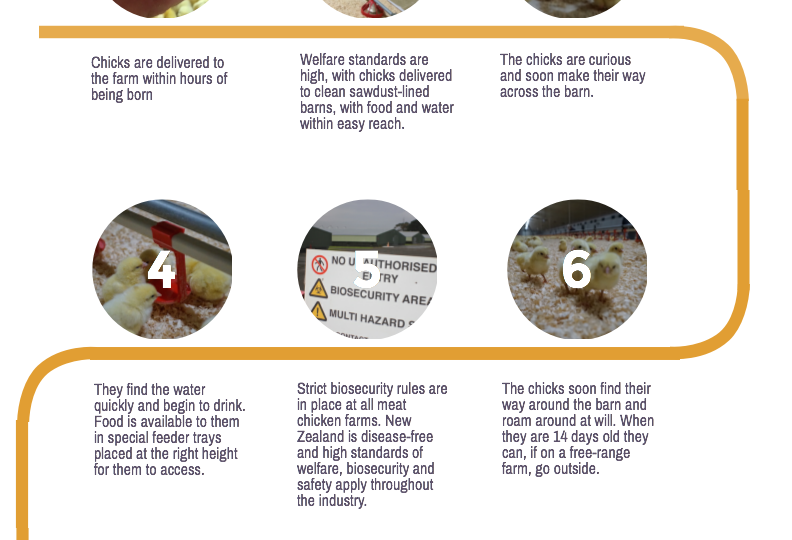 All New Zealand meat poultry is raised in barns or free-range. There are no cages and birds do not contain any hormones. 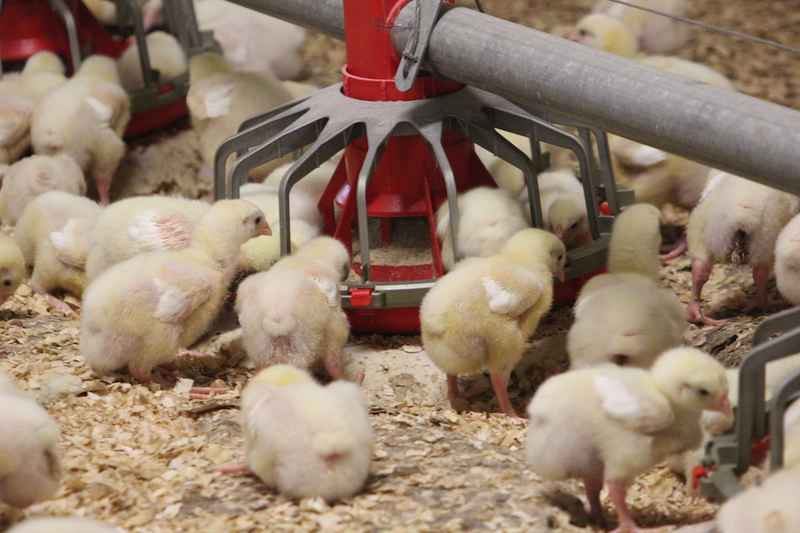 The two types of meat chickens raised are Ross and Cobb. Turkey is a lean, healthy meat and the main breed of commercial turkey raised here is the British United Turkey, bred for fast growth and good body formation. There is a steadily growing demand for turkey which is moving beyond the seasonal Christmas demand and around 250,000 turkeys are grown each year, mostly in the South Island. 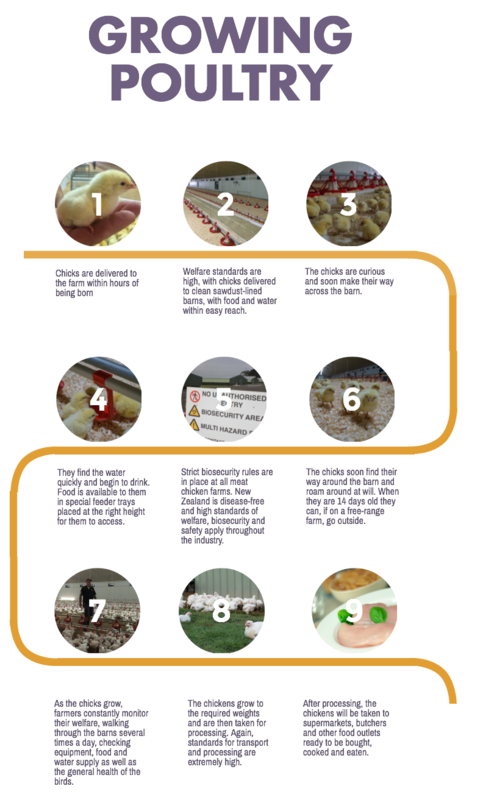 Duck is another meat gaining in popularity and ducks are raised in barns for biosecurity reasons to avoid contact with other waterfowl, which are significant carriers of avian diseases.